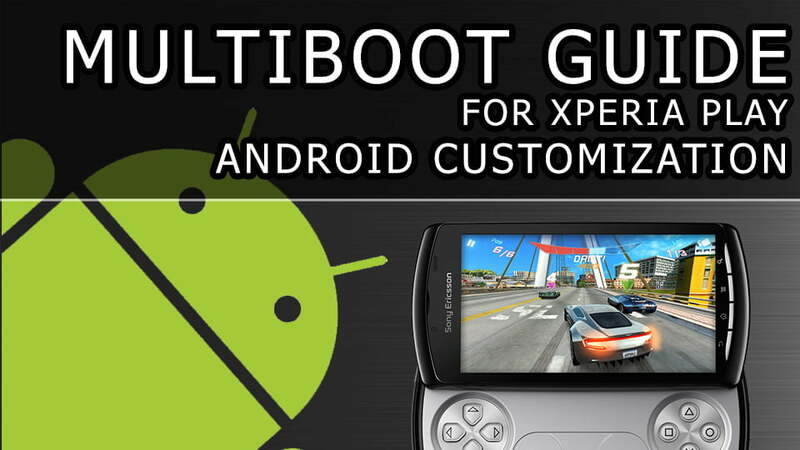 Here we have a quick guide on how to Multiboot your Xperia Play using Turbo Kernel and any other compatible kernel. This guide contains the basics and advanced features so be sure to read it all before attempting it. If you do not know how to flash a kernel on to a Xperia 2011 device please check my other tutorials. Press volume down at the boot logo during boot to access the turbo boot menu. The Boot menu consists of 6 touchscreen options. Below you will find more information about each option. Each Slot contains the follow options. This simply boots the selected slot. This loads TWRP Recovery a touch version of Clockwork Mod Recovery (CWM). If CWM is set as the recovery the option will be called “CWM Recovery” and it will load CWM instead of TWRP. This allows you to change which mode the ROM should be set as. It Currently supports JB-AOSP, ICS-AOSP, ICS-Stock and GB-Stock. Simply select the option that matches your ROM. This menu is useful for tweaking and maintaining the “Turbo Boot Menu” it contains 5 options. This option allows you to set which slot will be booted by default, You can select from any of the 4 slots. Allows you to switch between TWRP (Touch Wiz Recovery Project???) and CWM (Clock Work Mod Recovery). The chosen recovery can then be loaded via the “Recovery” option in the chosen slot menu. For each slot, It has a “Custom” and “Full” option. Simply allows you to change the icon for each slot based on a preset list of images. This allows you to delete “Slots” from the SD Card. This will obviously remove the ROM and free up space on your SD Card. The “First/Internal Slot” is the same as any “Non Multiboot” kernel, the system is stored on the NAND Flash not the SD Card. The first ROM Should be installed to this slot. The “Second Slot” is a Multiboot Feature, It allows you to install a additional ROM to the SD Card in a folder called “Turbo”. It may be slower than running from internal depending on your SD Card. It is recommended to install your most used ROM to “First/Internal slot”. This method requires the ROM to be “Multiboot-Aware” otherwise it will overwrite the internal system/data. Scroll down to find the “How to make your ROM Multiboot Aware” section. Make a cup of tea while waiting for TBM (Turbo Boot Menu) to create the image. Optional: Set it as default by going to TBN > “Settings and Tools” > “Default Slot”. Optional: Repeat for Third and Fourth Slot. Follow Steps in the “Installing your ROM to First/Internal Slot” Section. Hope this helps. Massive thanks to CosmicDan from XDA-Developers for making this all possible!